There’s a lot of preparation and work that goes into selling a home. With all the tasks piling up, it’s easy to overlook certain things. However, taking some extra time to look into any hidden problems your home has is a must prior to listing your home on the market. The law requires that a seller informs the buyer of any known physical problems with the home, internal or external; visible or hidden. Even if you aren’t aware of some of the hidden problems your home has, the buyer can still hire an inspector themselves prior to closing the sale and request repairs. Not to mention, unless your buyer is looking to flip the house themselves, most aren’t willing to purchase a home “as-is” but instead want a home that’s in a “ready to move-in” condition. Therefore, to ensure that your selling process goes as smoothly as possible it’s important to get started on this process yourself before even listing your home for sale since a home without major problems is always more appealing to buyers. Asbestos: Asbestos is a heat-resistant fibrous silicate mineral that can aggravate lung tissue when inhaled leading to cancer. Houses built before pre-1970s will generally have asbestos in anything from window caulk, attic insulation, to thermal insulation in basements. 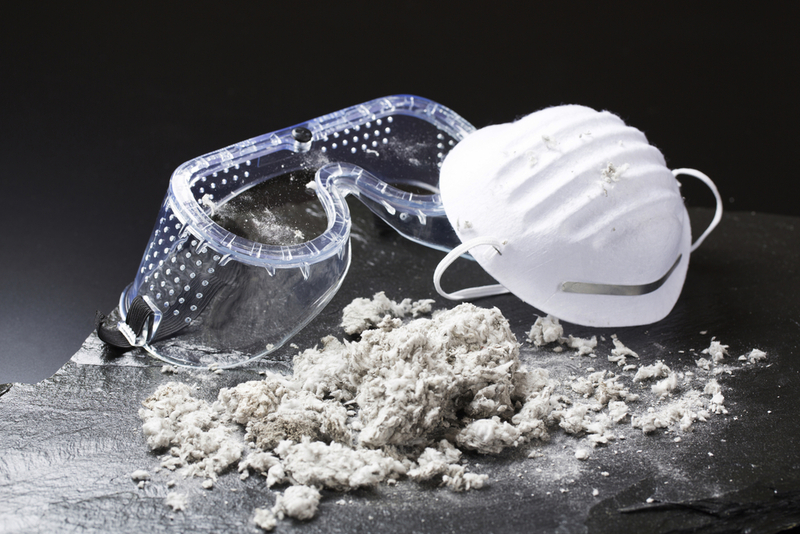 Although Asbestos is only hazardous when they begin to crumble, an inspector can help you access the condition of any asbestos in your home and determine if removal is needed. If the inspector determines that asbestos removal is necessary then it is important to start on this process before selling not only for your own safety but for future tenants’ safety. Lead: Lead has generally been used in exterior or interior paint in houses built prior to 1978. If your house was constructed prior to that time, you will need to hire a certified lead abatement contractor to test and see if that paint is still safely concealed as lead paint that chips off and turns to dust can be harmful, especially to children. Roof: Roof repairs or replacements can cost quite a bit, but it’s critical to hire someone who specializes in your roof material to confirm if there are any present damages and get a price estimate on repairs or replacements so you can move forward with the repair/replacement yourself or ensure that the buyer can’t overstate these expenses later on during negotiations. Regular roof inspections during the time you lived in your home and reduce some of these costs but be sure to double check once more prior to selling. Mold: Generally caused by water leakage, having mold in your home can lead to a number of issues such as structural integrity and health problems. Hire a mold inspector who can test for mold in your home by knowing the history of the home and searching for areas with water damage. Pests: It’s pretty easy to spot some pests (mice, cockroaches, spiders, etc) but others such as termites which like to eat wood from the inside out may require an inspector. A professional inspector will be sure to check out both visible spaces but also check for pest presence in places such as crawl space, attic, basement, backyard, etc. Electrical: While you should be well aware of any electrical wiring issues with your home by now, be sure to have an electrician check for any issues to ensure that the wirings are to current safety standards as faulty electrical wirings or code violations can cause some major damage to homes. Foundation: Have a relatively older home? Make sure you hire a foundation engineer to check up on the foundation of your home. The engineer will usually look for signs such as cracked walls, twisted window frames, or horizontal cracks in the foundations themselves to determine if the foundation is weak and then give you a time estimate and price on how much it may take to repair. Weak foundations in a home can cause supporting beams to snap, prevent your cabinets and doors from closing and worse, result in a poor home appraisal which can affect your ability to sell your home. Chimney: Having a fireplace/chimney in your home is a real draw for most buyers. Therefore, if your home has a fireplace and consequently a chimney, be sure to have an inspector check that the flue liners and inside bricks are in good shape and that any smoke will exit the house properly. Soil: Understanding more about the soil that surrounds your home can give you an idea of any soil contamination or whether or not your home’s foundation will be impacted in the long run. Trees: Having trees on your property can be a bonus, but be sure to bring in an arborist to test the tree’s long-term viability. As towering trees that are unstable can be a red flag to buyers who may not want to deal with crashing trees later on. As mentioned, many of the items on this list should be checked up routinely according to what’s recommended whereas other things don’t require as many check-ups. It’s important to start on many of these inspections/check-ups prior to selling your home so you can have the most seamless transaction when selling. Selling your home can be an arduous process for first-timers. For more tips and advice, definitely check out our buyer resources!